There's been a lot of trouble surrounding Purdue Pharma, the founding family of the drugmakers, and the fate of the company. Some are saying that Purdue is preparing to file for bankruptcy. Hundreds of lawsuits have been filed against Purdue for its role in creating the opioid crisis. Bankruptcy would allow the drugmaker to negotiate claims with some of the more than 1,500 cities, states, local governments, and others who have filed lawsuits against Purdue. Purdue Pharma is still 100% owned by the Sackler family. None of the Sacklers have personally been charged in the many lawsuits against Purdue Pharma. As we reported a couple of weeks ago, the Sackler family is the billionaire clan that gave the world OxyContin. They are largely accused of lighting the fire that started the opioid crisis. The family allegedly backed the company's push to increase sales rep's visits to doctors and other prescribers of the highly-addictive opioid. Purdue Pharma hired a consulting firm that pushed sales reps to target doctors they identified as "high prescribing." One doctor wrote an additional 167 prescriptions for OxyContin after a sales rep made additional visits to their practice. Even without Purdue or OxyContin, the Sackler family would still have a combined net worth of $13 billion. 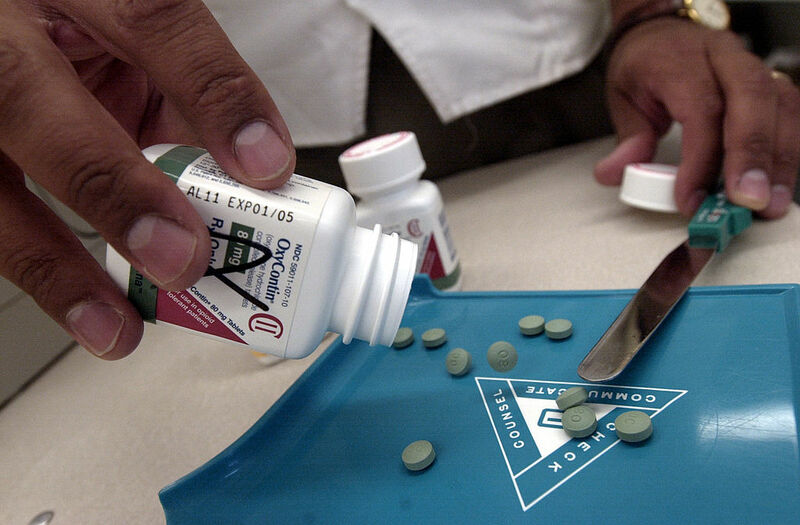 The family has made more than $4 billion from the sale of OxyContin from 2008 through 2015. The Sackler family also owns a number of other drug companies that peddle their pills in Canada, Europe, Asia, and Latin America. Those companies' combined yearly income adds another $3 billion to the mix. An estimated 20 Sackler heirs share their current $14 billion fortune. The Sackler family has a deep philanthropic bent as well. They've given large donations to the Metropolitan Museum of Art, the Guggenheim, the Tate Gallery, the Smithsonian, and the Louvre. Education is also a beneficiary of their largess with gifts to Harvard, Columbia, Tufts, NYU, Oxford, and the University of Edinburgh.